A message of God: It is of course not a commandment: Be happy and smile. But what is being meant is: smiling more in what you are doing. The joy of the Lord is a testimony to the people around you! Hello, very welcome! On December 3rd, 2015, Prophet Benjamin Cousijnsen received the following message from a messenger angel of God, which I’d like to share with you. Shalom! I greet you in the name of Yeshua HaMashiach, Jesus Christ. Verily, my name is Rafaël and I am a messenger angel of God. I’m teasing you, Prophet of God. On December 2nd, the messenger angel of God brought you a message in Indonesian, a language that you do not easily understand. You need more for this, in order to understand it, and especially to transcribe it faultless, that which is being spoken. I repeat: the joy is my strength! Genesis 11, verse 6 to 9 The LORD said, “Behold, they are one people, and they have all one language, and this is what they begin to do. Now nothing will be withheld from them, which they intend to do. Come, let’s go down, and there confuse their language, that they may not understand one another’s speech.” So the LORD scattered them abroad from there on the surface of all the earth. They stopped building the city. Therefore its name was called Babel, because there the LORD confused the language of all the earth. From there, the LORD scattered them abroad on the surface of all the earth. because of no longer being able to communicate well with everyone, with whom they first were able to talk to so well! 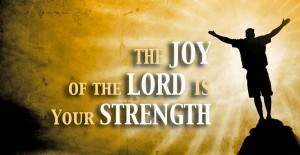 Verily, now you will understand this message, in which it is being said: The joy of the Lord is my strength! I want to emphasize that there is joy, whatever you are doing. But more is meant: Smiling in what you are doing. Let also others laugh, or see that you are happy in the Lord. “Thank you, dear child, just go quickly to your mother”, said the pastor. Verily, the joy of the Lord is a testimony to the people around you! The messenger angel of God spoke further, I’m going now, Ruacha, Yeshu, Shalom! Use Google Translate and Bookmark it. 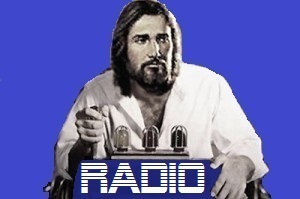 If you want to make a donation to the EvangelicalEndtimemachine you can do so here by clicking on the logo. Are you a born again Christian and do you stand behind the messages from God given to Prophet Benjamin Cousijnsen? And are you fluent in your language as well as in English, and are you able to translate 100% from your own language to English, using email? Then you are warmly invited as a volunteer to help in this ministry to the honor of Yeshua HaMashiach, Jesus Christ. We are closed during the weekends.